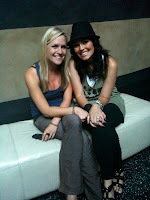 kandeej.com: Monday, Facebook, Glaminars, SHOES, and new beauty addiction! Monday, Facebook, Glaminars, SHOES, and new beauty addiction! Somedays I wish a huge hug from a giant bag of balloons would help! #1. that FACEBOOK disabled my account....which mean everyone else can see my facebook EXCEPT ME!!! I can't log on, sign in- NOTHING! this is the 2nd time Facebook has done this to me...siting they thought I was an imposter of myself! and just because I keep getting emails: the Become a Pro Make-Up Artist is my favorite class...it's more than being a make-up artist, it's how to go after your dreams, be happy and super confident, how to change how you live...how to be wildly successful at WHATEVER you do....this class changes lives, attitudes. I share all my marketing and success tips...I share my heart with you- it's AMAZING!!! 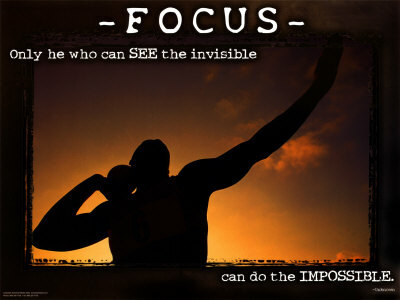 LESSONS from things going wrong: don't focus on everything going wrong- FOCUS on FINDING A SOLUTION! You go in the direction of your thoughts- If you think about all the problems....you're never going to get to the place where solutions are. Think about how you're going to solve, change, or fix your problems AND sure enough....you will GET OUT OF YOUR PROBLEMS....but "Polly Problem Dweller" is going no where but feeling worse about herself! 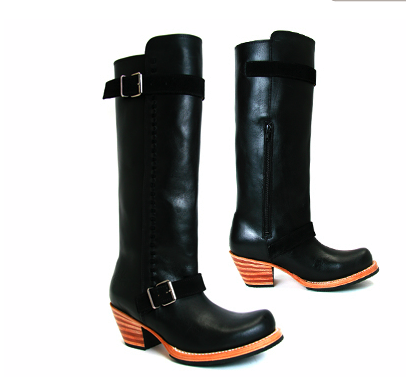 these are the coolest mix of cowboy boot, riding boot, and all out rocker chic boot....I love these! Bonus points for these bad boys: they have a heel - so not only will you appear taller BUT SKINNIER...yay! I love these because they fit in with my side that grew up on lots of land with cows and horses...and then the side that lived in a high rise on busy metropolitan street! love these! SANDALS! I've been searching for the perfect "gladiator-rocker-sandal" all summer - they were waiting for me at FOREVER 21 for only $18.80!!! these are really comfy and I put my Dr. Scholls Gel Sandal inserts and these babies are like slippers! It's the Gia Warrior Sandals click here to see em! DRUM ROLL PLEASE!!!!! NOw for my new beauty addiction of the week! 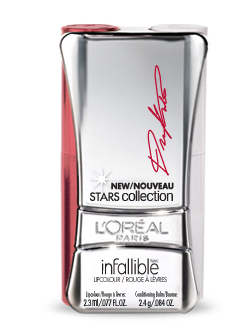 I can NOT stop wearing this red lipstick from L'Oreal- Infallible Lip color in BEYONCE!!! this stuff is no joke! It does NOT come off until you remove it!!! I ate drank, kissed my little ones, ate and drank some more, did a demo to my mom about scrubbing it with my hand...NOTHING CAME OFF!!!! I love this stuff!!! 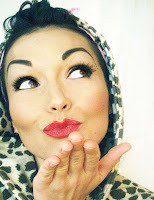 did I mention my current love for the red-lipped pin-up look!?! It's the worlds fastest make-up look! And if you can think of it...can any of my facebook fam...post something on my facebook to tell everyone that I'm "banned" from facebook and to check here for everything! thanks guys...I miss interacting with you guys on FB already!!!! do you read ALL of your comments? even mine?? So happy to hear you're doing well ... and I think I must try some new l'Oreal lipstick. Thanks for the tip! And I hope your Facebook account is reactivated soon ... what a bother! Kandee- the marilyn monroe look, looks great on you! I will have to try it myself. I love that you always look on the bright side no matter what...I'm so happy that you've made youtube videos because they make me feel as if I really know you; which is so cool because you're like one of the most amazing and inspiring people I know! So, yay for youtube and Congrats on all your success and may more of it come your way! back, I've tried leaving a few comments about this. Hope you have a good day kandee! You are seriously right about that lipstick! It is the go to lipstick if you don't want it to budge, I've used it for ages! Cause otherwise my hubby kisses all my lipstick off! LOL Sorry to hear about facebook sweetie! First of all..didn't know B had her own color of the infallible shizz!! I need some now! ha ha, she is a goddess! Second, I have been telling everyone about your fb problemm..whaddahell?! Thirdly, yes it's me Skylar, if I see you tomorrow, I can't really make a scene (even though I want to) so I might just wink? or wave? (due to professionalism and not giving anyone favoritism) even though I would give you the biggest hug ever!! I'm praying for you, best of luck!!! love you! please tell us chicagoans who won't be able to attend your glaminars if there is any way to meet you and maybe take a picture or two beforehand. need any help setting up? i would totally love to do that if i can just meet you. im telling you, there are days where nothing seems to work and reading your blogs just picks me up before going to bed. Take care! and let us know, please!!! I also wanted to know if you are going to have any kind of meet & greet or event where we can come out and meet you in Chicago. 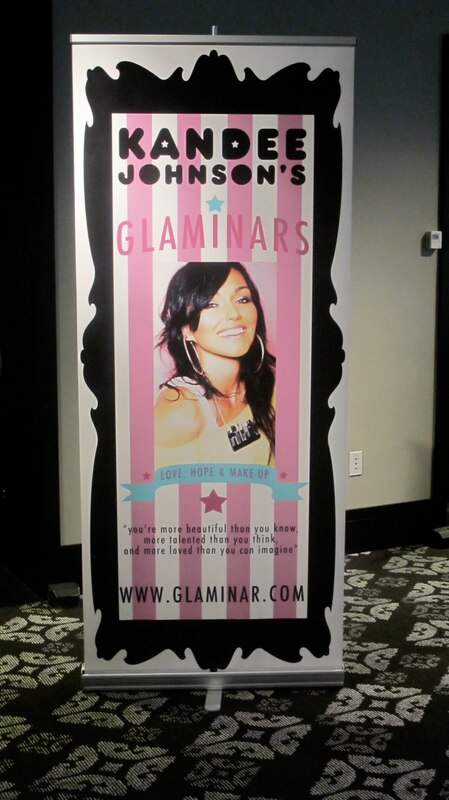 I can't attend the Glaminar...I didn't even know about it until TODAY but I would love to meet you and other bloggers and makeup lovers. I've been through so much the last years, and every time i'm down, you get me up! I wanne thank you for that, you're an inspiring young woman..
Kirby all the way from HOLLAND! Can't wait seeing you in London!!!! good luck with your others glaminars!! kandee i really love those cowboy-ish black boots. those are super hot! i really want a pair now! grr! lol you've got the best taste in fashion, how do you find such awesome trendy things? It's so rare to see someone so beautiful on the outside be just as beautiful on the inside. You're an inspiration! Hi Kandee congrats again for having a baby girl... Can please tell me where else can i find your gladiator flatform shoes coz i really really like it any website that you can give me(i hope i can find it here in toronto).Please thank you and god bless to you!! !